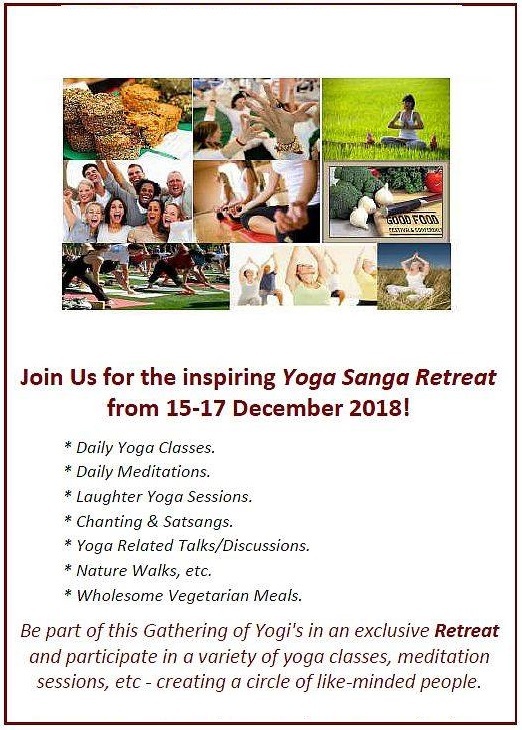 Please complete the form below and your enquiry will be sent directly to Yoga Sanga Retreat via email. 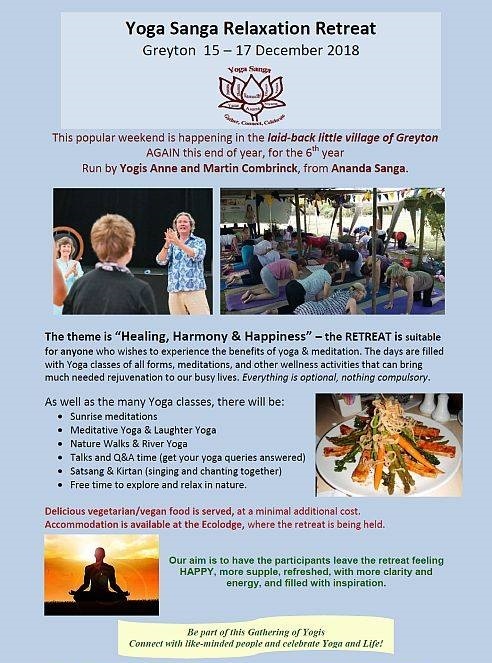 Your enquiry has been sent to Yoga Sanga Retreat. A wonderful way to end the year. Retreat in good company, with great food, lots of Yoga, meditation and relaxation. Be part of this gathering of Yogi's in an exclusive Retreat and participate in a variety of yoga classes, meditation sessions, etc - creating a circle of like-minded people. To book go to our website. Early Bird discounts until mid-September!